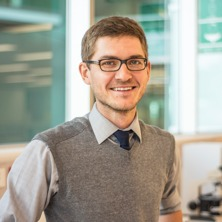 Marcin Sowa received a PhD in health economics in 2014, and has subsequently held academic positions with the Australian National University, Griffith University, and the University of Queensland. Dr Sowa has led academic and commissioned research projects in the areas of health care financing and insurance, governance of hospitals, disability policy, comparative healthcare systems, and health technology assessment. The latter included appointments as an economic evaluator for the Pharmaceutical Benefits Advisory Committee and as a health economist in the Centre of Research Excellence in Chronic Kidney Disease. In 2016 Dr Sowa published a book exploring the evolution of hospital governance in Eastern Europe. In addition to the research focus, his academic activity has involved teaching of health economics as well as providing policy assessments and commentaries.